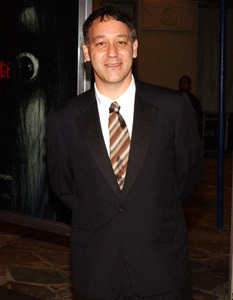 Sam Raimi was born in 1959 in Royal Oak, Michigan and had an interest in film from an early age. At college he made a film called Within the Woods with his childhood friend Bruce Campbell, it was a 32 minute film with obvious elements of the work that would later make his name. He was able to convince various people to invest in his first feature and The Evil Dead was released in 1981. The fantastic gory action and graphic violence got the film banned in the UK but it was a massive hit and Raimi's career was well and truly launched. He followed it up with the bizarre crime/comedy caper Crimewave in 1985 which was badly affected by studio interference and panned. In 1987 Raimi directed Evil Dead 2 which was part remake and part sequel. This time around he injected more comedy into the film and an almost slapstick feel and it is still the best horror comedy you are likely to see. After that came the comic book adaptation Darkman in 1990 which although not a great film did well enough for him to raise the money for Evil Dead 3. Generally known as Army of Darkness the film saw Ash in medieval times and is more comedy than horror. Raimi happened to start his career with horror but he is happy to make all kinds of films and his output over the next few years included the western The Quick and the Dead in 1995, the haunting crime/thriller A Simple Plan in 1998 and the romantic drama For Love of the Game in 1999. In 2000 he returned to horror with the ghost story The Gift and then he really hit the big time with the incredibly successful Spiderman franchise. Raimi is a very talented director and the Evil Dead series is superb. He is currently working on a new horror film called Drag Me to Hell and there are rumours about a fourth Evil Dead film which we can only hope are true.